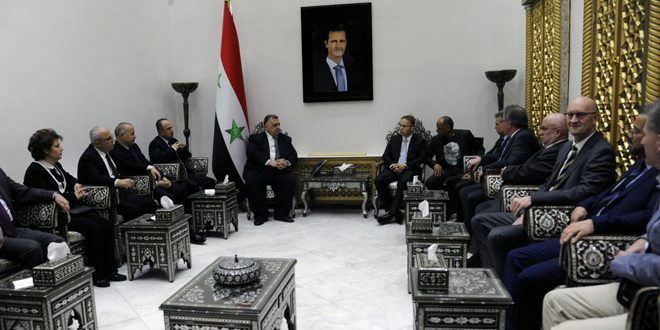 Damascus, SANA- Speaker of the People’s Assembly Hammoudeh Sabbagh said that western media outlets are still circulating misleading lies on the crisis in Syria. Sabbagh remarks came during a meeting with German parliamentary delegation, headed by Dr. Christian Blex on Monday. 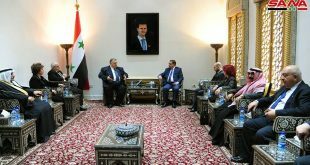 He said that Syria is determined to fight terrorism and it seeks to boost national reconciliations, pointing that solidarity of the Syrian people with the army and its leadership is the basis of steadfastness in confronting terrorism. Sabbagh called for lifting the unilateral coercive measures imposed on the Syrian people by western countries. For his part, head of the delegation, Blex said that the delegation’s visit aims to have a closer look at the situation in Syria. In a relevant context, Grand Mufti of the Republic Ahmad Badreddin Hassoun met the parliamentary delegation, affirming that Syria has been targeted because it is the only secular state in the region and the symbol of the civilized nation. 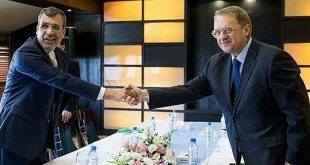 The war against terrorism in the country has come to an end and the reconstruction process has started in all areas liberated from terrorism as thousands of factories have resumed production, Hassoun said. 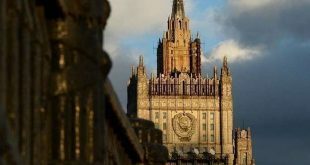 He called on the delegation’s members to convey the reality of what is happening in Syria, especially as the western media outlets tried to influence in the western public opinion through misleading the current events in the country.